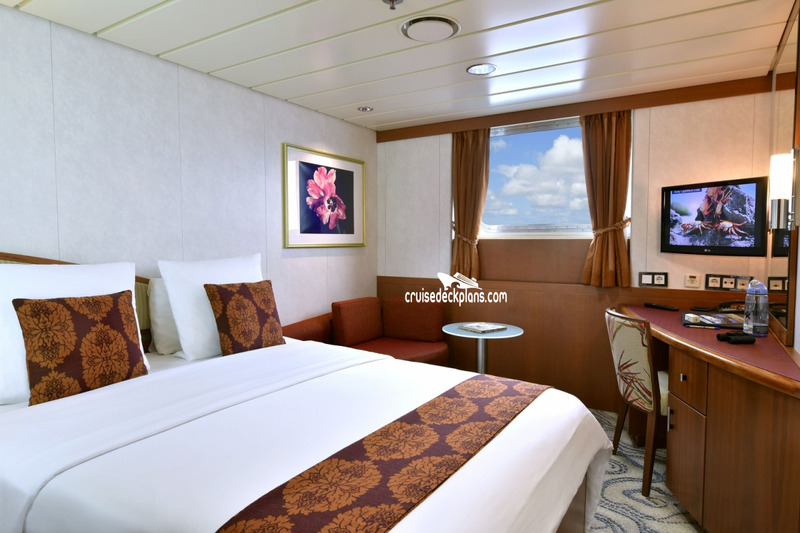 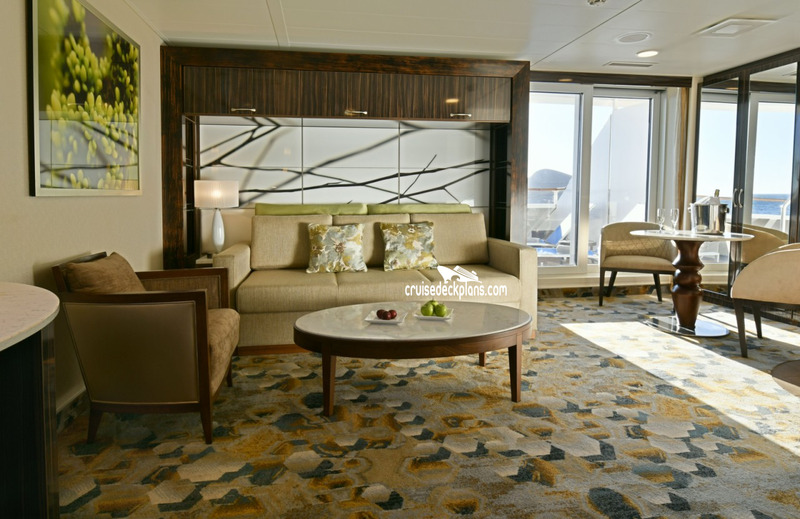 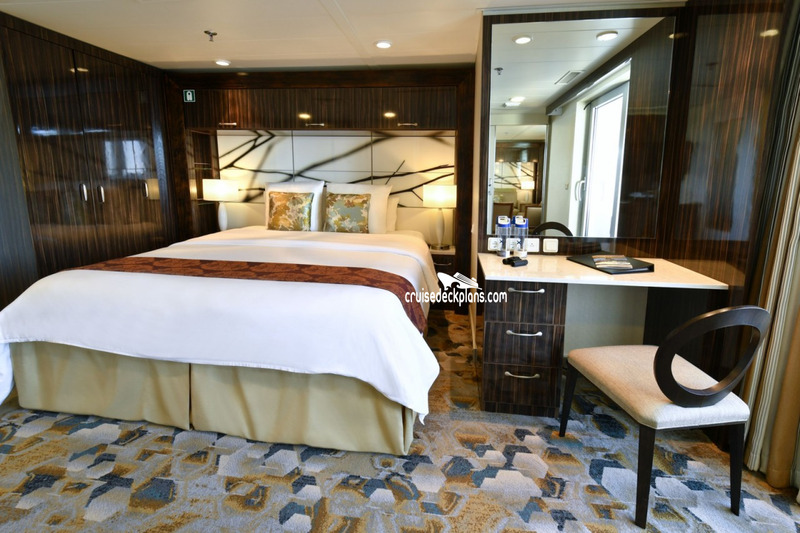 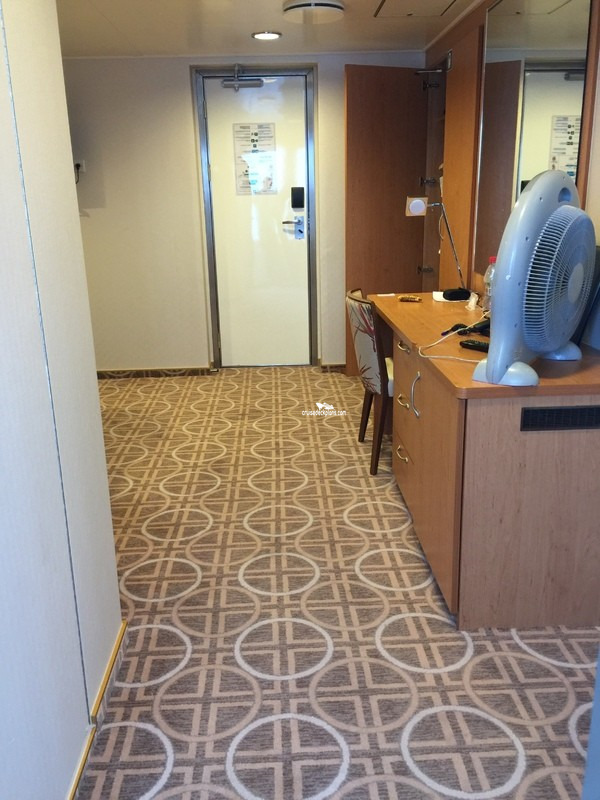 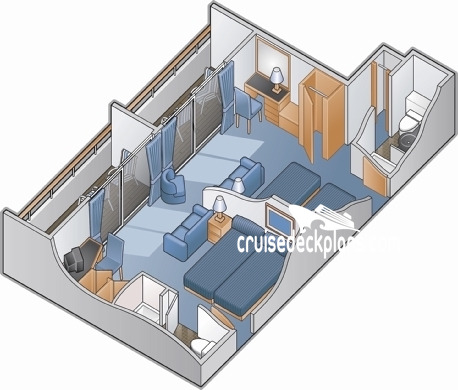 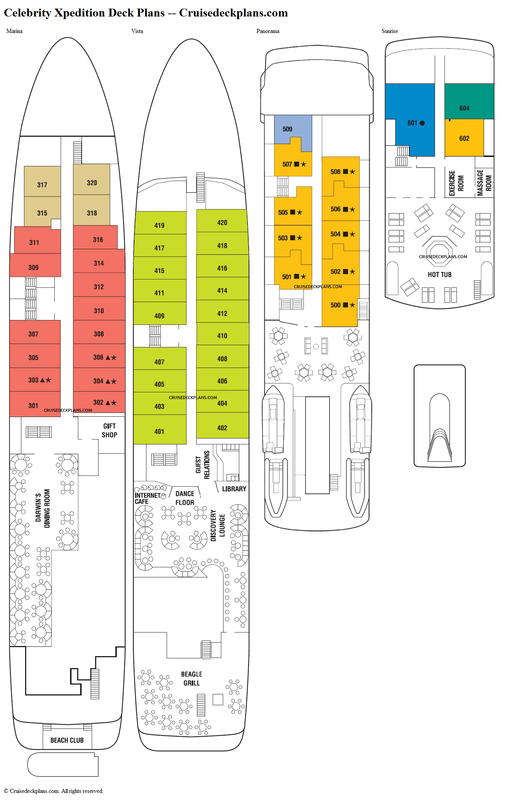 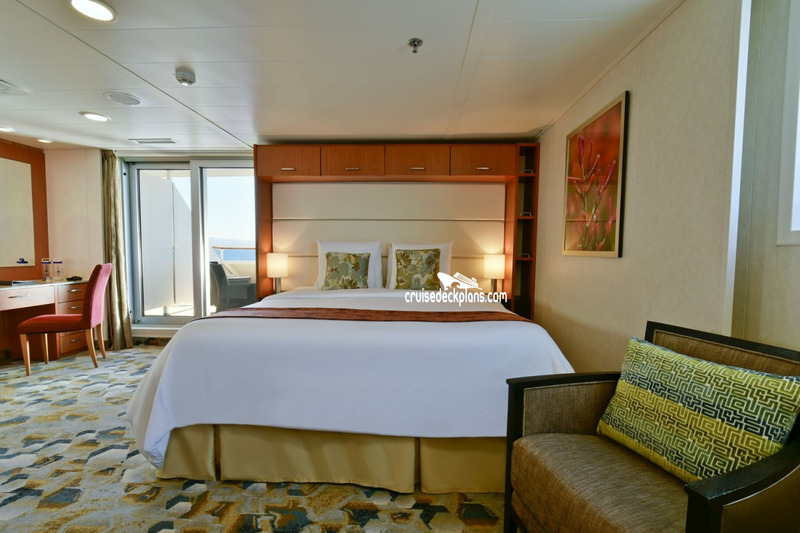 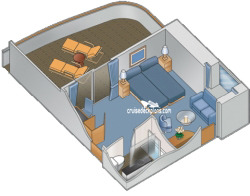 Category XJ - Junior Suite is 180 square feet plus 48 square foot balcony. 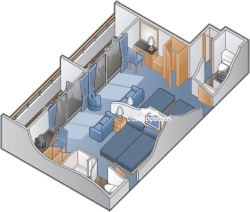 The double bed cannot be seperated. 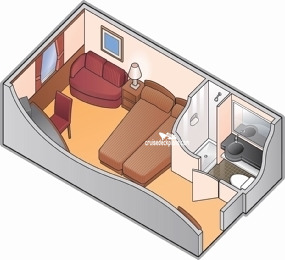 The sitting area has full-size convertible sofa bed. 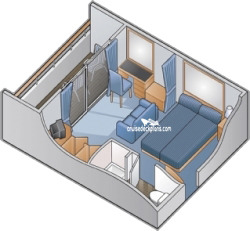 Category XJ comes with junior convertible sofa (for a guest up to 150 lbs and 5\'6\") and nonconvertible queen size bed. 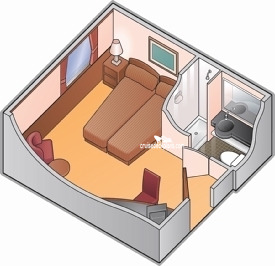 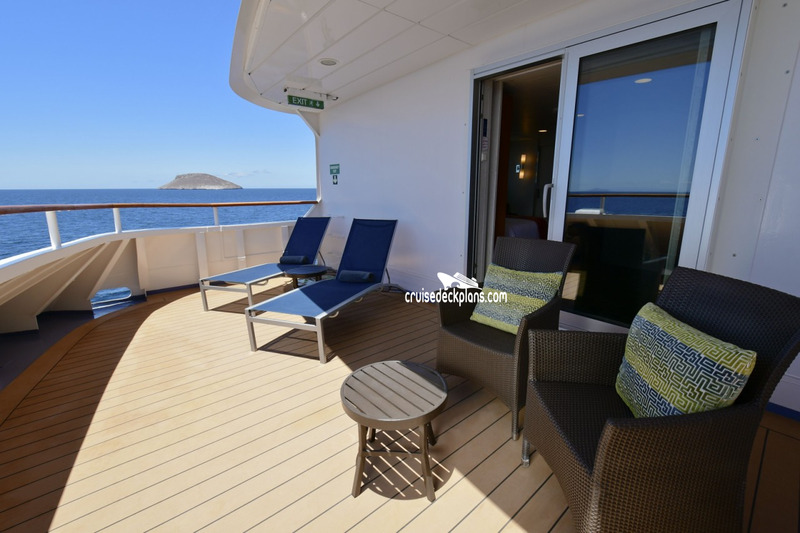 Amenities include room service, luggage delivery at boarding, paid laundry services, beach towel service, binoculars for use, complimentary use of snorkle equipment and wetsuites, daily hors d\\\'oeuvres. 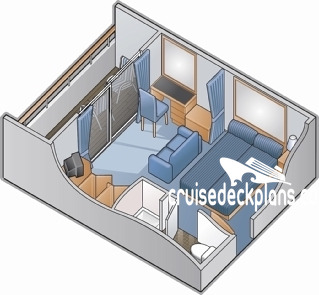 Cabin size ranges from 145 for XOS to 160 square feet for XPS and XDS. 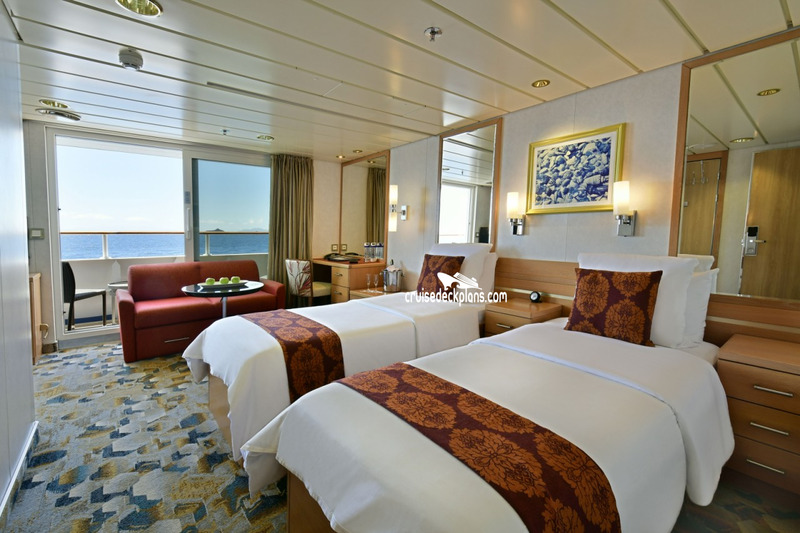 Amenities include room service, luggage delivery at boarding, paid laundry services, beach towel service, binoculars for use, complimentary use of snorkle equipment and wetsuites, daily hors d\\\'oeuvres.